Created in celebration of the 75th Anniversary Season (2014-15) of Canada’s legendary Royal Winnipeg Ballet! 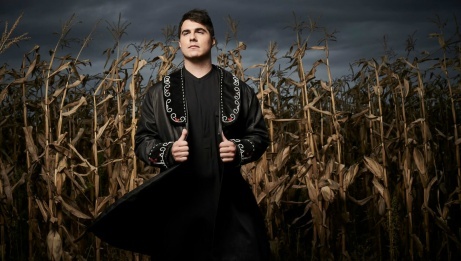 Going Home Star – Truth and Reconciliation is the brilliant result of a star-studded collaboration between the Royal Winnipeg Ballet, award-winning Canadian author Joseph Boyden, acclaimed choreographer Mark Godden, and renowned Canadian composer Christos Hatzis. Going Home Star was ten years in the making, first envisioned by late Cree elder/activist Mary Richard and RWB Artistic Director André Lewis. Searing and sensitive, this powerfully emotional classical ballet is the deeply resonant love story of Annie and Gordon, a pair of contemporary Aboriginal young people coming to terms with a souldestroying past. 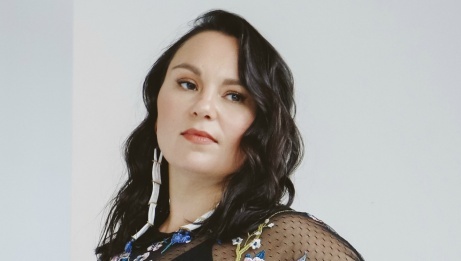 Hatzis’s multi-layered score incorporates music by Inuk throat singer Tanya Tagaq (winner of the 2014 Polaris Music Prize), Steve Wood, and the Northern Cree Singers.